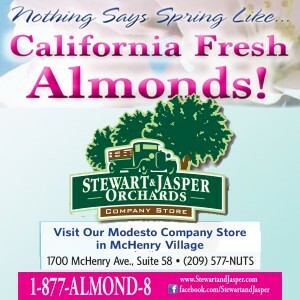 (Modesto, CA) – Sam Pierstorff, professor of English at MJC and former Poet Laureate for the City of Modesto, is the final spring semester presenter for MJC’s Positive People Speaker Series. The free, public presentation is Thursday, March 7, at 7 p.m. in the Mary Stuart Rogers Student Learning Center on West Campus, 2201 Blue Gum Avenue, Modesto. Campus parking is available for $2. 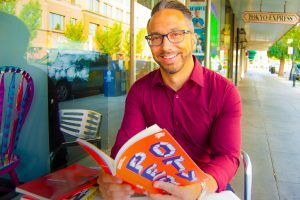 The product of a Middle Eastern mother and a former Marine, Pierstorff received his Master of Fine Arts degree in creative writing from CSU Long Beach. He went on to become the youngest Poet Laureate ever appointed in the state of California at 28 years old when he was selected to the position in 2004 by the City of Modesto. As a performance poet, Pierstorff won the University of California, Merced’s Grand Slam championship in April 2013, the Rogue Festival Poetry Slam in 2015, and placed first in The Valley Talent Project’s “Specialty Act” category sponsored by the Gallo Center for the Arts in 201. He also gave a TEDx talk at the Gallo Center in 2017. The Positive People speaker series, offered by the MJC Office of Campus Life and Student Learning, features local community members who have overcome challenges and obstacles to achieve their goals. The community is invited to come hear these stories of inspiration and motivation. For more information contact the Office of Campus Life and Student Learning at (209) 575-6700.